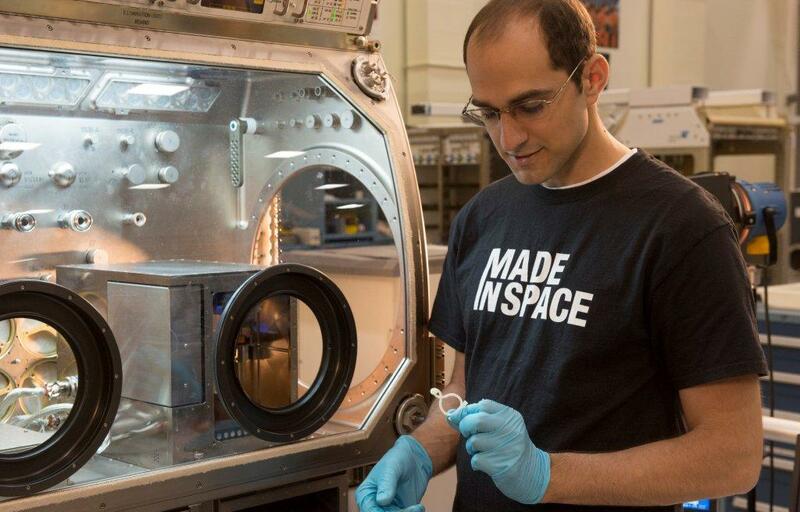 News From Space: 3D Printer Bound for ISS! The International Space Station has plans to bring a 3D printer on board by 2014. And yesterday, the model in question – the startup’s Made in Space engineering model – passed an important milestone on its way into orbit. This consisted of a battery of tests at NASA’s Marshall Space Flight Center in Huntsville, Ala., which confirmed that the machine can survive the rigors of launch and function in space. This developmental testing was vital to the design of our flight-unit printer. We’ve engaged in a fast-paced mission starting in early 2013 to produce hardware that NASA would qualify for launch and installation to the ISS in 2014. The fact that we’ve been able to pass another milestone in an abbreviated time frame is extremely exciting. For some time, NASA has had its eye on additive manufacturing (aka. 3D printing) as a means of making space travel cheaper and more efficient. In addition to the development a 3D pizza maker and food printing, NASA also hopes to equip future ships and stations with their own printer so crews can generate spare parts and components, rather than having to mount costly resupply missions. 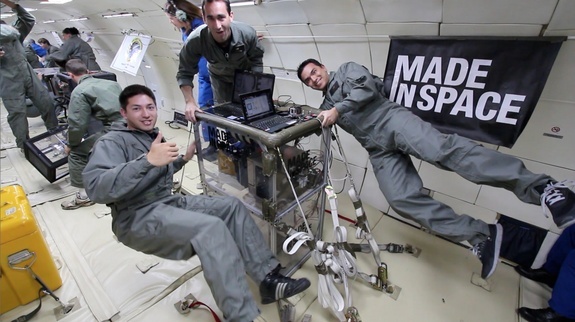 Made in Space and NASA Marsall hope to jump-start this vision with their “3D Printing in Zero Gravity” experiment (3D Print for short) which aims to launch the first-ever 3D printer to the space station in August 2014. But before that can happen, the machine must pass some more rigorous tests. The first occurred several months ago when three prototype versions of Made in Space’s printer passed a series of microgravity tests during parabolic airplane flights. This flight test, known colloquially as the “vomit comet”, demonstrated that the prototypes could indeed handle working in microgravity environments. The more recent tests at Marshall, performed with the company’s Engineering Test Unit (ETU), ensured that the printer can survive the vibrational stresses of launch and deal with electromagnetic interference, among other issues. The successful results received from the ETU testing at [Marshall] reinforces our confidence that Made in Space, Inc. has developed the robust design required to successfully print in space. We are excited to have successfully completed yet another key step toward meeting the extensive ISS flight certification process. If all goes well, it won’t be long before the crew of the ISS is able to regularly print out all the replacement parts they need. 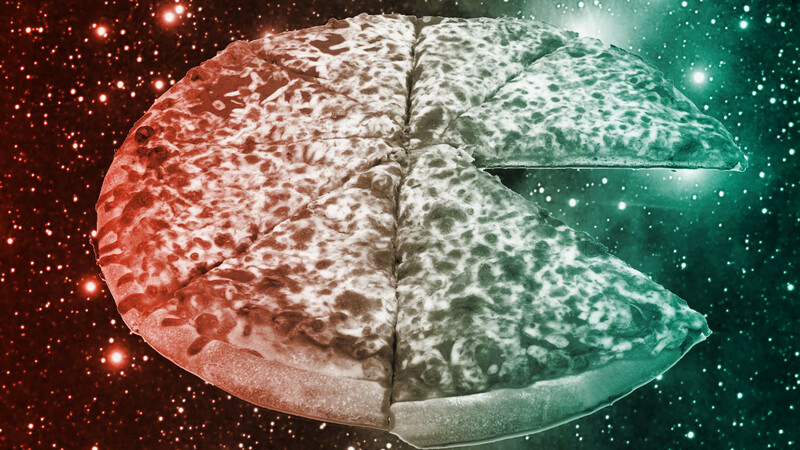 Given time, they might even solve the problem of what to do when freeze-dried food won’t cut it and you absolutely must have a slice of pizza!